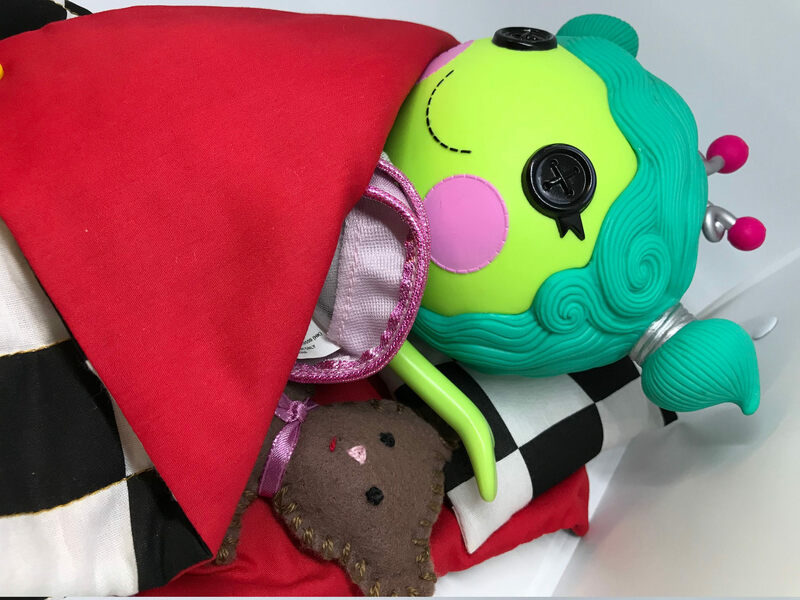 A Sleeping Bag and Pillow Set for Lalaloopsy Full Size dolls. 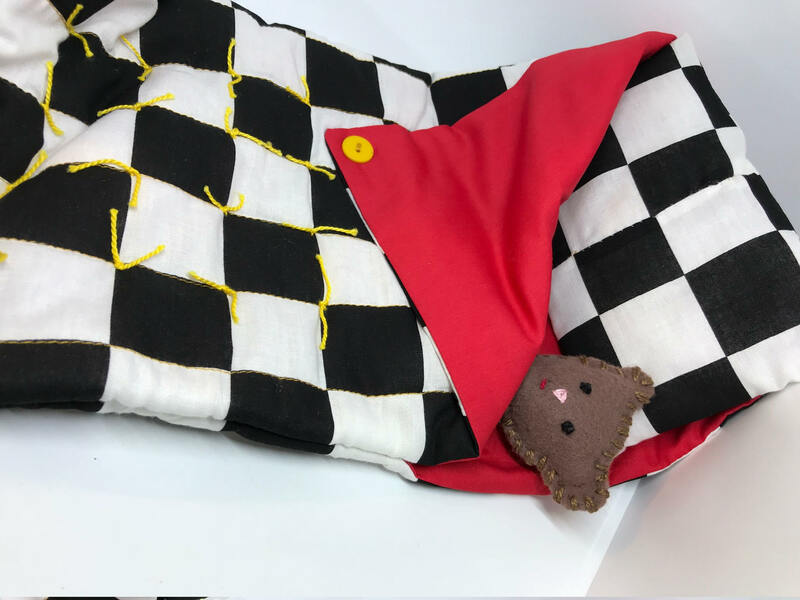 Features a padded black and white check outer that is tacked, red solid inner, and matching pillow. 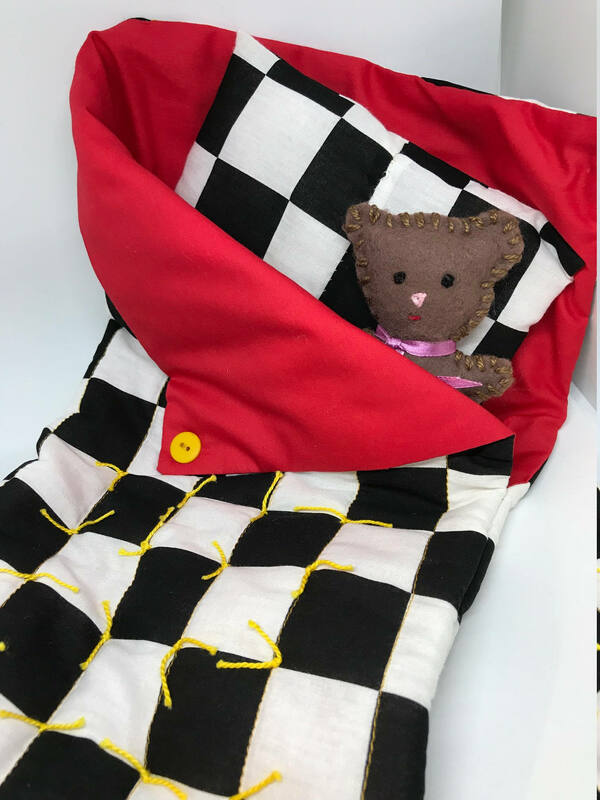 The sleeping bag is turned down and tacked with a yellow button so that your doll can easily slide in and out of the sleeping bag. 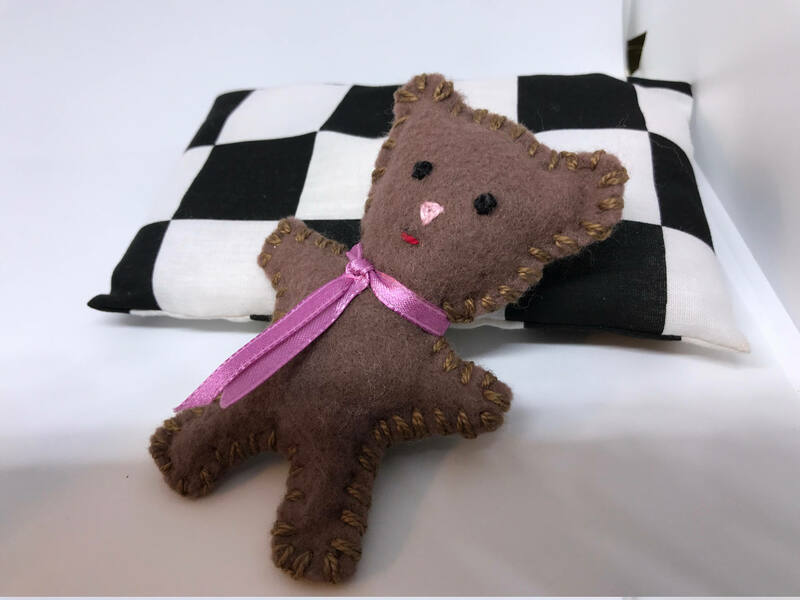 Also included is a felt, handmade "teddy bear" toy for your doll.